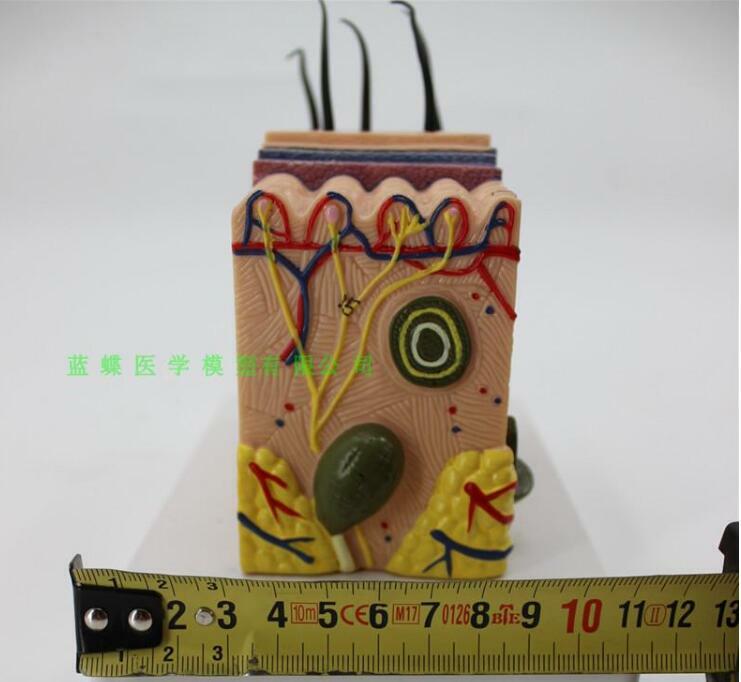 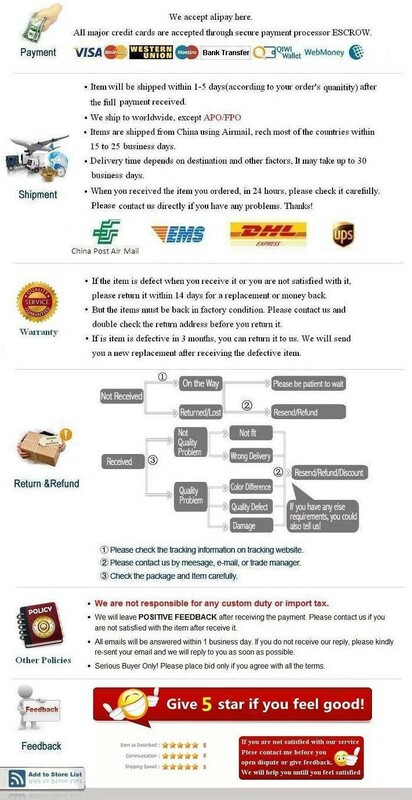 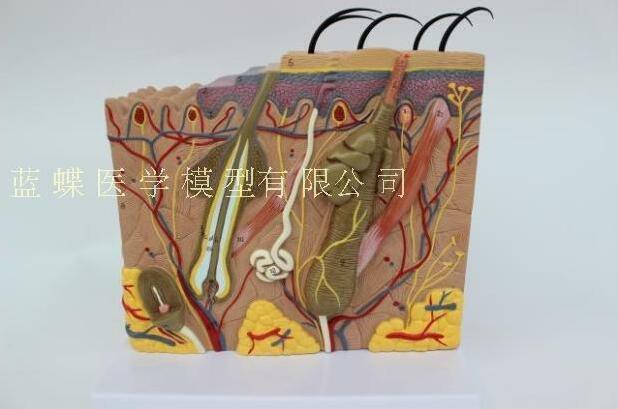 Product description: this model shows the layers of skin and its appendages. 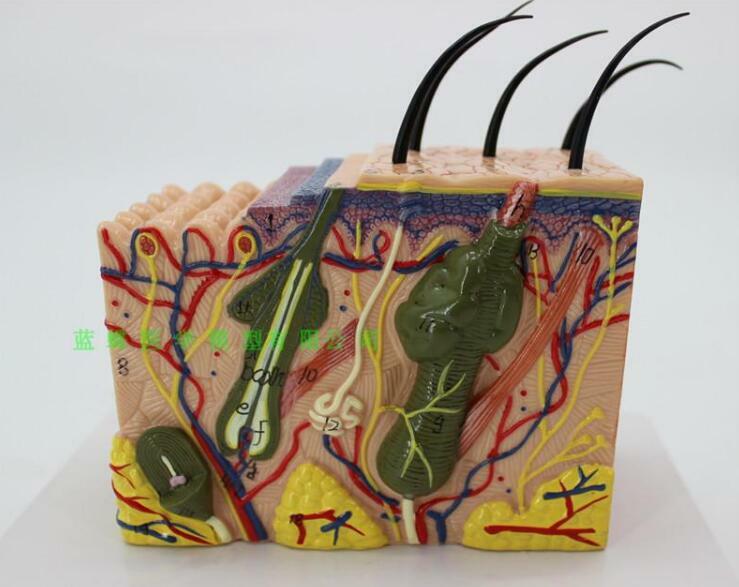 Made of high quality plastic and mounted on a base. 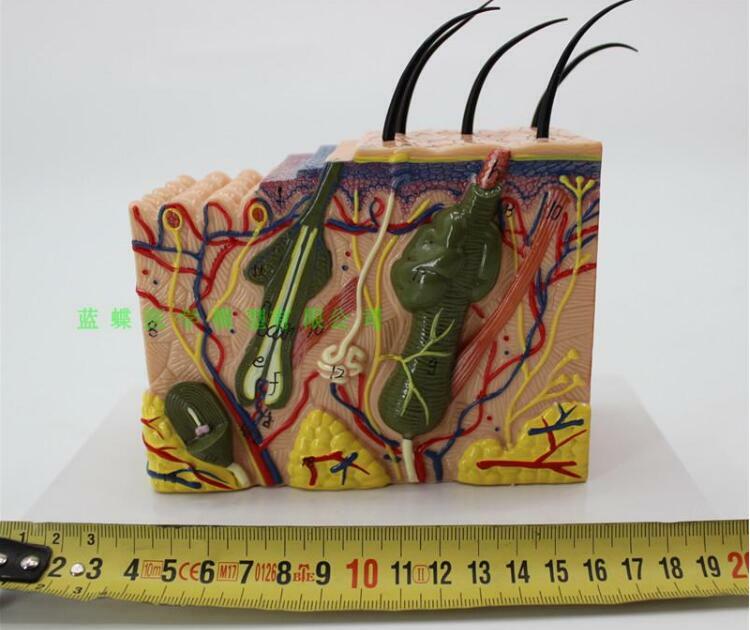 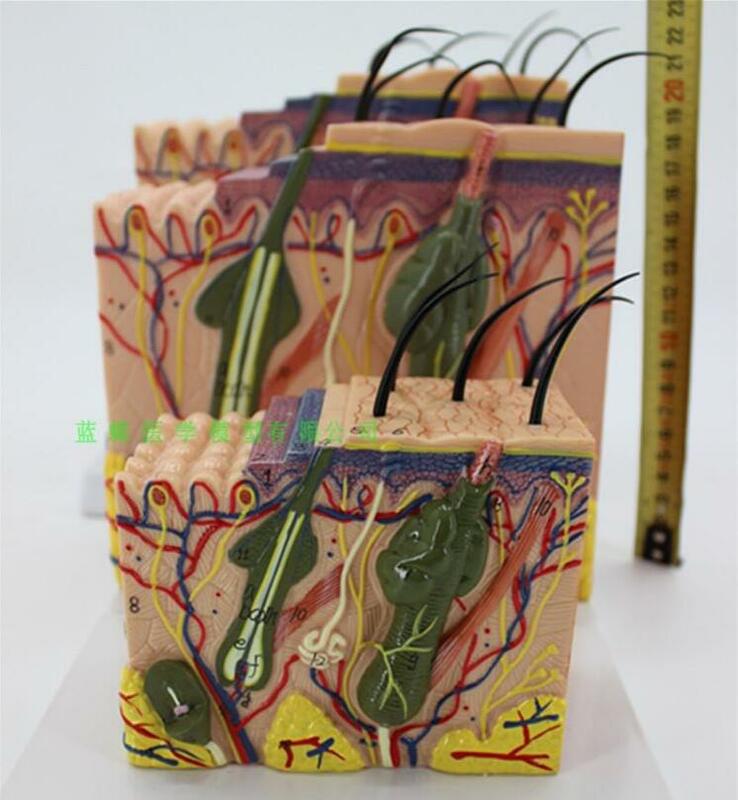 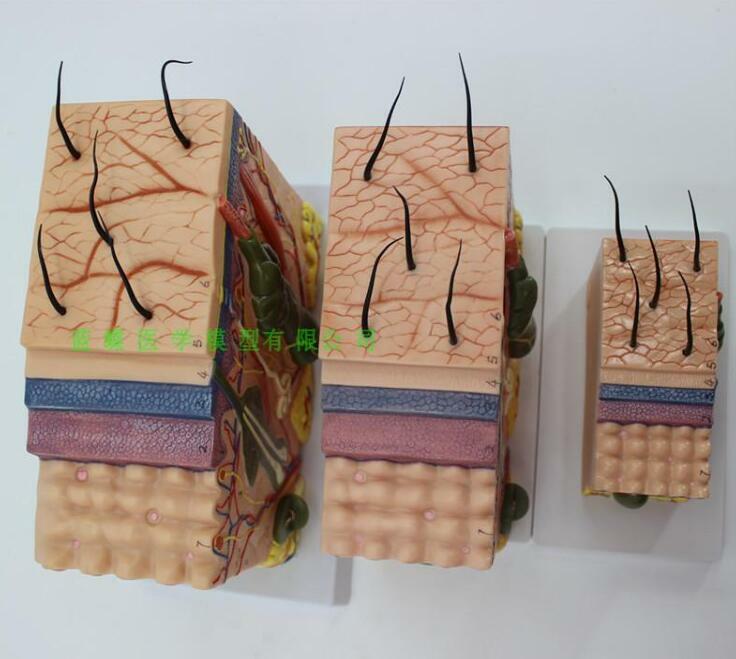 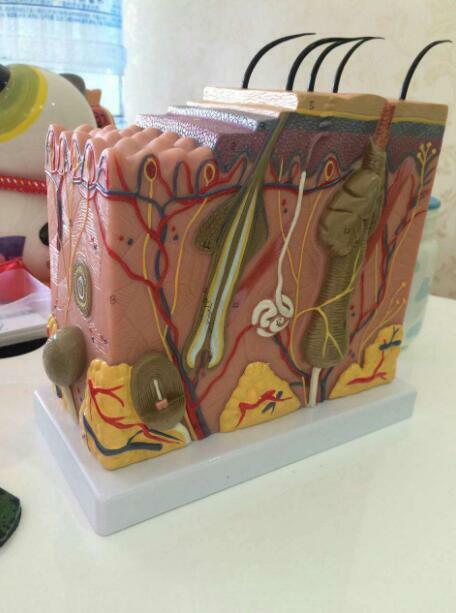 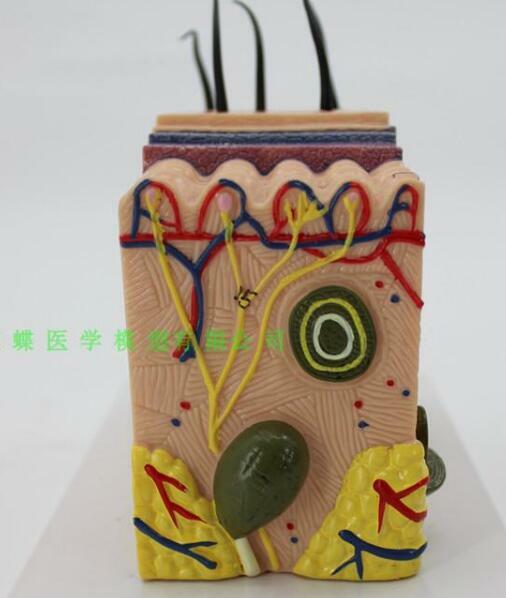 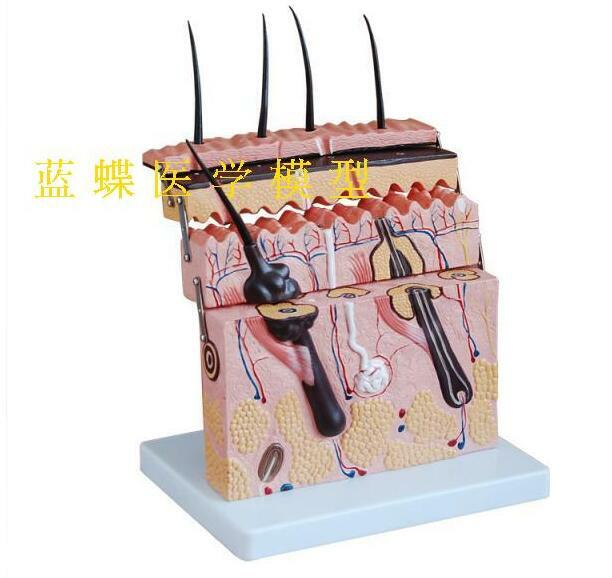 The model by the epidermis and the dermis is divided into two parts, a total of four parts, are connected to the deeper tissue by subcutaneous tissue, and display the epidermis, dermis organization hierarchy and subcutaneous tissue and skin adnexal (including MAO, sebaceous glands, sweat glands and nerve endings), such as structure, a total of 25 parts are signposts to guide Chinese table.